It’s time for Belgium and Japan to decide another one of the 1/4-finalists in the FIFA World Cup in Russia. These two sides will meet at the Rostov Arena in the city of Rostov-na-Donu. Let’s take a look. Belgium are one of the favourites to win the World Cup this year. Roberto Martinez’ team have some incredible players, who managed to show their strenght in the group stage of the tournament. In their previous three matches in the competition, the Red Devils achieved three wins – over Panama, Tunisia and England. They scored 9 goals in these three games and conceded just two – both of them in the match against Tunisia. Japan qualified for the 1/8-finals of the World Cup with a little bit of luck, after winning just 4 points in the group. They started with a win against Colombia, which was followed by a draw against Senegal and a loss against Poland. Despite of this average performance, the Blue Samurai managed to finish second in their group and go through in the competition. But now they will have a very difficult test against one of the best teams in the tournament this year. Belgium are not among the World Cup greats, as long as we look at history. Against Japan they will try to achieve their third World Cup 1/4-final so far after 1986 and 2014. The big difference is that now the Red Devils are enjoying a special moment. They have a golden generation, which is ready to rewrite history. If they manage to fulfil their potential, the Belgians can do something really great in Russia. Japan are the huge underdog here. The Blue Samurai can’t compare with Belgium in term of potential or individual class, but they are a team with amazing teamwork and a lot of sacrifice in their game. If they manage to beat Belgium, Japan will qualify for a first time in their history to the World Cup 1/4-finals. Against England in the group phase Roberto Martinez rested his squad and avoided any unwanted suspensions. Now the Spanish manager is ready to pick his best team again. Romelu Lukaku is among the best goalscorers in the tournament with 4 goals scored so far, while Eden Hazard and Dries Mertens are doing a fine job supporting him in attack. There’s a little doubt that Belgium will dictate the play against Japan, being the more offensive team on the pitch. They are not a side which would sit back and defend. Japan are usually playing with a 4-2-3-1 formation and most likely the coach Akira Nishino will stick to it. As always, the Blue Samurai will try to use their pace and technique in order to trouble the Belgians. Can they do it though? Belgium are the big favourite against Japan at the Rostov Arena. 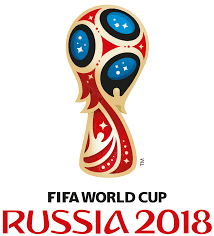 The Red Devils are determined to do history in Russia and why not win the World Cup. This have to be their first step towards the big goal. But Japan won’t give up without a fight, that’s almost certain.